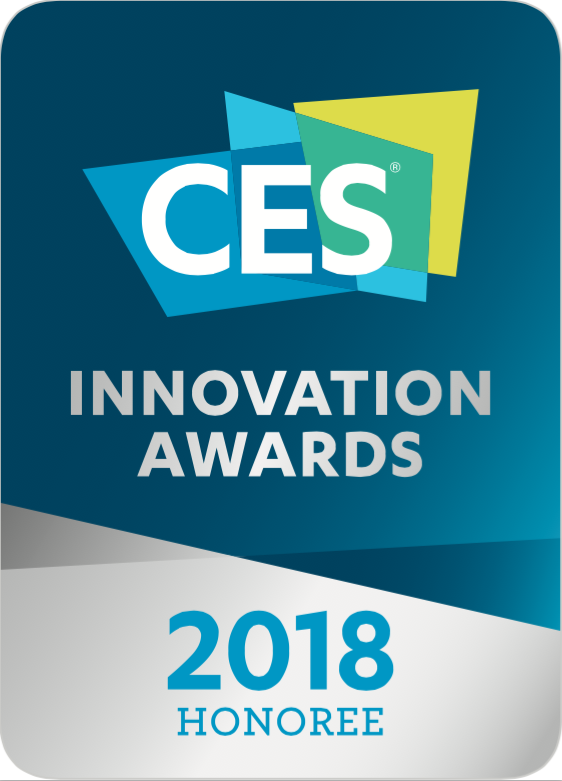 LOS ANGELES, CA (November 9, 2017)- PAPAGO Inc. today announced that it has been named a CES 2018 Innovation Awards Honoree for Papago RAY. Products entered in this prestigious program are judged by a preeminent panel of independent industrial designers, independent engineers and members of the trade media to honor outstanding design and engineering in cutting edge consumer electronics products across 28 product categories. Ray has incorporated a top-notch rear-view camera that renders a real-time feed of your surroundings onto its 7.8” screen. It solves most of the problems drivers face with traditional rearview mirrors such as a narrow field of view, obstructions inside the vehicle, and low visibility at night. Ray’s field of the view is superior to that of a traditional rear-view mirror thus reducing blind spots and enhancing traffic safety by providing a clear view of your surroundings. Ray is also a dash camera and is capable of recording both front and rear views in case of an incident. Products chosen as CES Innovation Honorees reflect innovative design and engineering in some of the most cutting edge tech products and services coming to market. Papago RAY will be displayed at CES 2018, which runs January 9-12, 2018, in Las Vegas, Nevada. PAPAGO! Inc. was established in Taiwan in 2001 and has become the leading brand in Asia, Australia, and now America. In 2011, PAPAGO! Inc. became an IPO in Taiwan and has begun to invest more in the car safety industry. PAPAGO! Inc. has dedicated themselves to promising drivers the most comfortable and safest journeys on the road. PAPAGO! strives to develop products that are user-friendly and promote safety as a key feature. When creating products, the goal is to ensure that the consumer will enjoy all the benefits that our research and design team intended, at an affordable price. At PAPAGO! Inc., safety meets technology to provide drivers with a more secure driving experience. LOS ANGELES, CA (October 27, 2017)- Once again, Papago! Inc. is proud to be a part of the world’s biggest automotive products show, SEMA, where it will launch several of its new innovative products. Designed with driver’s safety in mind, PAPAGO introduces the GoSafe S37, the GoSafe S780, and the Papago RAY. 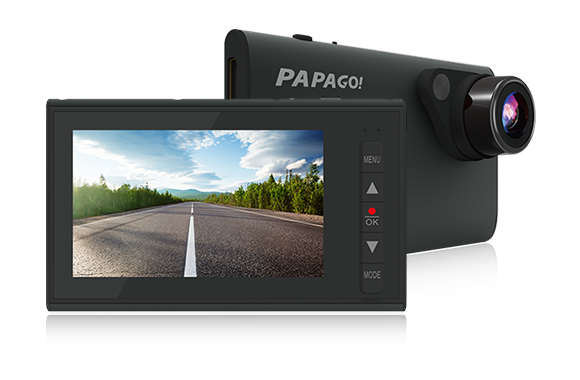 All three cameras feature three different recording modes to accommodate the user’s needs, and, all equipped with Papago’s exclusive Driver Assist Features. When compared, each has its own unique features. GoSafe S37- Features the new SONY Exmor sensor that helps produce a clear image regardless of the time of day. GoSafe S780- Front and rear dual dash cam with the new SONY Starvis image sensor. This new image sensor yields a super clear image in low-light conditions. 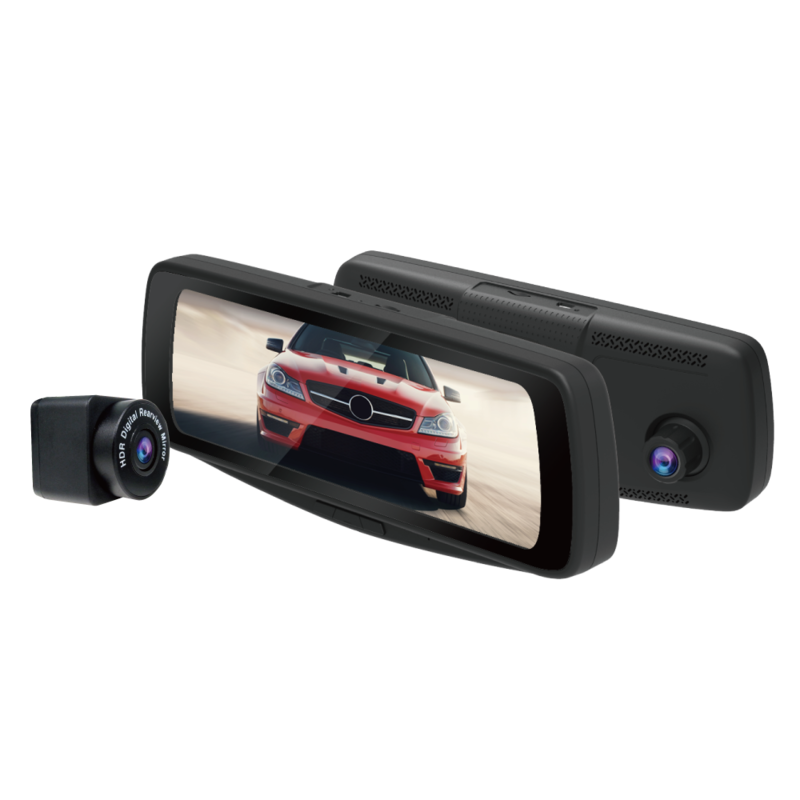 Papago RAY- RAY is a direct replacement for the traditional rearview mirror with its dual camera design and weatherproof rear camera. It provides a real-time feed from its rear camera onto its 7.8” screen. 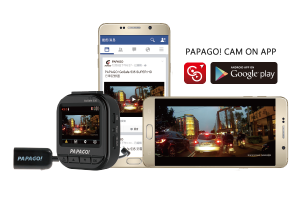 Papago Inc is years ahead of its competition when it comes to dash cam firmware, features, and quality. To see for yourself, visit us in the North Hall, Booth 12045 at the 2017 SEMA Show. 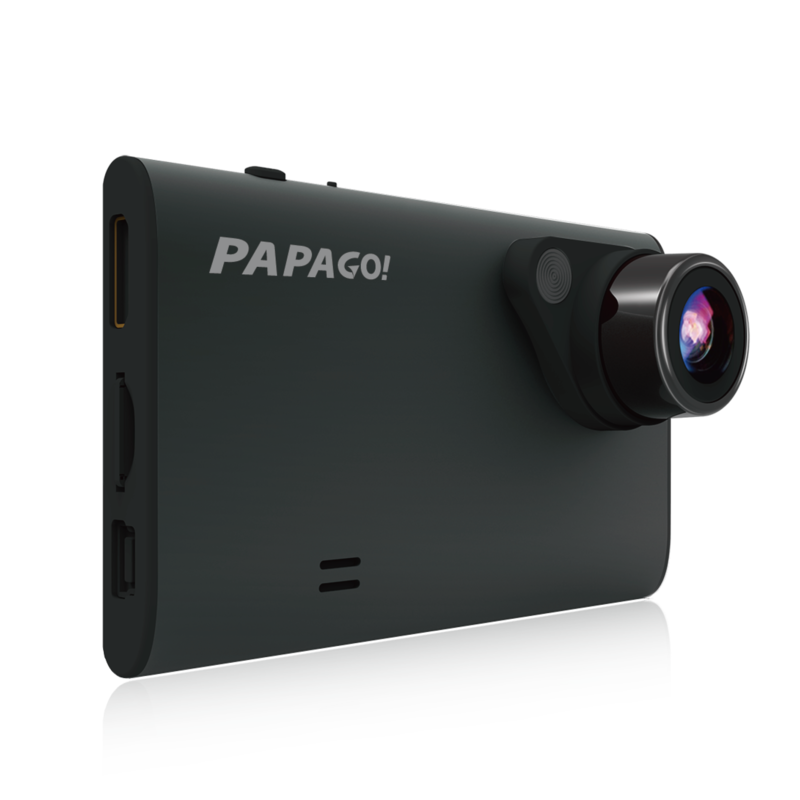 LOS ANGELES, CA (January 19, 2017)- Papago Inc, leader in car dash cams and tech accessories, announced today the launch of their AirFresh S10D. 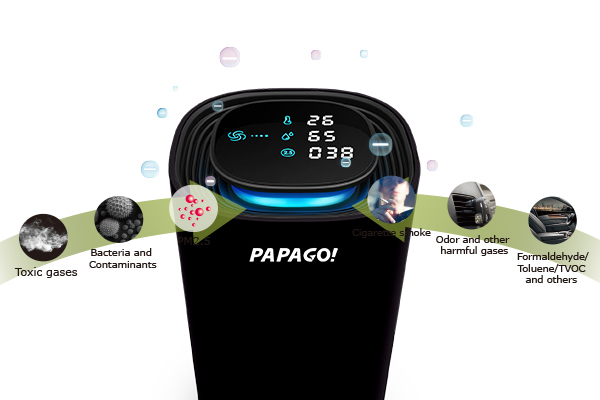 This innovative air purifier can purify an area of up to 10 cubic meters and it’s controlled by the wave of your hand. 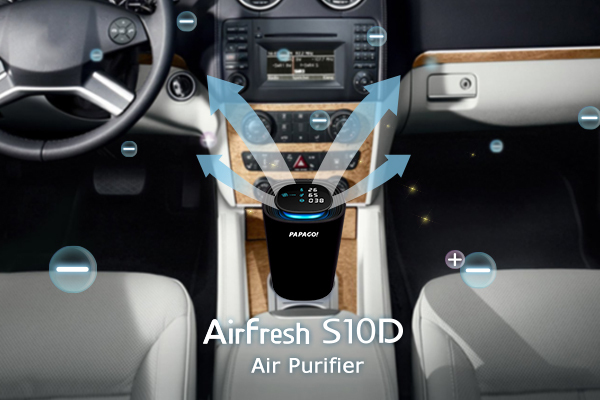 With the AirFresh S10D Air Purifier, you can cleanse the air for a healthier car or small space environment, and it only takes 6 minutes! The AirFresh S10D uses SHARP’s second-generation dust detector to release positive and negative ions to kill bacteria and harmful PM 2.5. The AirFresh comes with a magnetic detachable base that fits perfectly in your vehicle’s cup holder so you can use in your car or indoors. It also uses a simple display to monitor temperature, humidity, and PM 2.5 in real time. Having an AirFresh car has never been so easy. The AirFresh S10D’s MSRP is $129.99 USD and $179.99 CAD. For more information about the product and where to buy, please visit http://bit.ly/AFS10Dpr. Everything You Missed @CES 2017! CES (Consumer Electronics Show) is one go the biggest tech shows in the world. The greatest tech minds, and latest technology all come together every year for this 4 day event in Las Vegas. Of course, PAPAGO! was there for all the action! Check out everything you missed here! http://us.papagoinc.com/wp-content/uploads/2014/11/PAPAGO_CES-1.jpg 430 1170 Paulina S http://us.papagoinc.com/wp-content/uploads/2014/11/logo_light_header1.png Paulina S2017-01-30 17:45:322017-01-30 17:49:34Everything You Missed @CES 2017! LA, December 2016– Once again, Papago! Inc. is proud to be a part of the world’s biggest electronics show, CES, where it will feature several of its new innovative products. Designed with driver’s safety in mind, PAPAGO! introduces the GoSafe 30G and the GoSafe 760, both featuring 3 different recording modes to accommodate the user’s needs, and, equipped with Papago’s exclusive Driver Assist Features, including Stop Sign Recognition, Headlight Reminder, and Driver Fatigue Alarm. When compared, each have their own unique charms. GoSafe 760 – Front and rear dual dash cam, for fullest coverage and security possible. LOS ANGELES, CA (June 8, 2016) – PAPAGO! Inc introduces the GoSafe 220 to the affordable Elite Dash Cams line. The GoSafe 220’s fine build was designed to capture the entire road without taking up space on your windshield. It records in high quality 1080 HD and 140° angle, allowing you to capture everything on the path. With the 32GB storage capacity, the GoSafe 220 Video Recorder has the unique ability to record up to 8 hours before it loops over old footage when set at 1080p resolution. It comes with 3 recording modes, including motion detection, loop recording, and parking guard. With the all new parking guard feature, the dash camera will record 10 second videos when the device feels a bump or impact while parked, with or without a power supply and when the battery is fully charged. 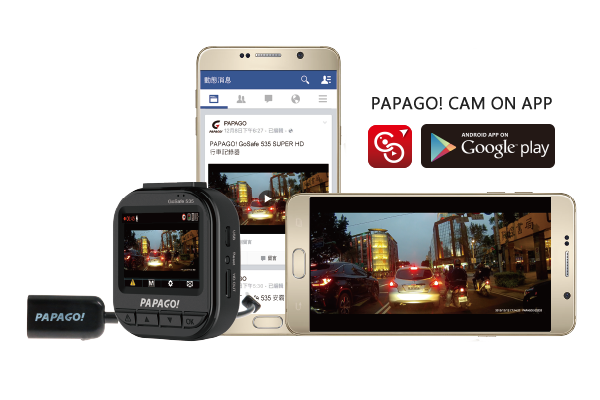 GoSafe 220 is also equipped with a built-in battery, in case your car loses power, and a large 2.7” LCD screen to view your videos. With the GoSafe 220, you’ll be able to record even more important instances with amazing quality and precision. The GoSafe 220’s MSRP is $99.99 USD ($99.99 CAD) and will be available mid August both in store and online through Staples Canada and Frys Electronics. For more information, please visit the GoSafe 220 product page. PAPAGO! Inc. has become a pioneer in the dash camera market. They dedicated themselves to promising drivers the most comfortable and safest journeys when driving on the road. PAPAGO! strives to develop products that are user-friendly and promote safety as a key feature. When creating products, our goal is to ensure that the consumer will enjoy all the benefits that our research and design team intended, at an affordable price. At PAPAGO! Inc., safety meets technology to provide drivers with a more secure driving experience. Come visit us at the DUB Show this Sunday, July 10th, 2016 at the LA Convention Center! 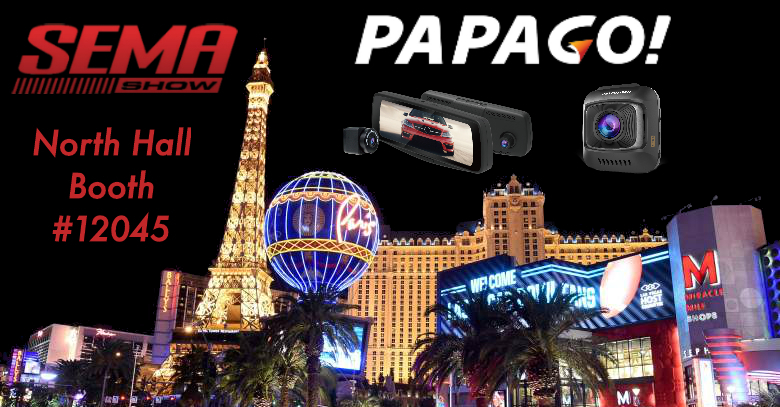 Visit us at booth #313 for a chance to win your very own PAPAGO GoSafe Dash Cam! Show us your Like AND Post and receive your raffle ticket! Also, several products at DISCOUNTED prices! http://us.papagoinc.com/wp-content/uploads/2014/11/2-1.jpg 430 1170 Paulina S http://us.papagoinc.com/wp-content/uploads/2014/11/logo_light_header1.png Paulina S2016-07-06 14:09:092016-07-07 14:43:28PAPAGO! @ DUB SHOW! Happy Independence Day From PAPAGO! Now through July 5th, SAVE $30 when you purchase 1 or more qualifying items offered by Gadgets and Doodads on Amazon! To take advantage of this deal, click here, shop, and enter code HAPPY4ID at checkout! 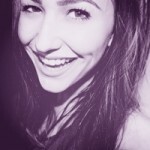 http://us.papagoinc.com/wp-content/uploads/2014/11/4th-3.jpg 430 1170 Paulina S http://us.papagoinc.com/wp-content/uploads/2014/11/logo_light_header1.png Paulina S2016-07-01 16:59:592016-07-01 17:24:41Happy Independence Day From PAPAGO! The dash camera with the highest resolution in the market. LOS ANGELES, CA (June 8, 2016) – PAPAGO! Inc introduces the GoSafe 535, a dash camera built with an Ambarella A7L processor chip to catch the widest angle with the best possible resolution, without taking up your entire windshield. Like a great hunter, the PAPAGO! GoSafe 535 was designed to capture everything in its path. Equipped with 1296p Super HD resolution and 160 degree wide angle, GoSafe 535 sustains the highest quality videos day and night, and during inclement weather, offering the best resolution the market has to offer. On top of that, it supports up to 64GB micro SD cards, and, includes an On-The-Go cable that allows you to plug your camera straight to your Android device. No more waiting to go home to upload your videos to your computer. With CAM ON app, you’ll be able to replay and share your videos instantly. Additionally, the GoSafe 535 is loaded with driver assist safety features like Stop Sign Recognition, Headlight Reminder, Stop-and-Go, and Driver Fatigue Warning. And, with its multiple recording modes, like Automatic, Monitor, and Motion Detection, the GoSafe 535 is sure to record the best possible footage a dash cam can provide. The GoSafe 535’s MSRP is $169.99 and will be available in late June through Amazon, and in July through Walmart. For more information, please visit http://us.papagoinc.com/products/gosafe-535/.